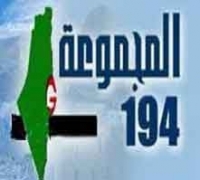 Group 194 is an non-government organization (NGO), was established in 2001 by a group of researchers after several meetings and discussions with activist and scholars in the cause of Palestinian refugees in order to defend their rights in various fields such as research, media and lawsuits and on the Arab and international levels, and in collaboration with other frames and counterpart bodies. The name was chosen based on the UN resolution 194 which includes international recognition of the right of refugees to return to their homes and property from which they were expelled in 1948 "Nakba". The 194 resolution faces attempts to write-off and emptied of its contents. We take on our behalf the responsibility to preserve this resolution which we consider indefensible and a gateway to defend the rights of Palestinian refugees and the preservation of world public opinion, organizations and relevant international institutions. 1) A fundamental right of human rights confirmed by the Global Compact to remove all forms of racial discrimination and The Covenants of European, American and African countries to protect human rights and fundamental freedoms and the International Covenant on Civil and Political Rights and the 1967 Protocol relating to the Status of Refugees and the Universal Declaration of Human Rights. 2) A collective and inalienable right which doesn't fall under the statute of limitations and is guaranteed by The United Nations in its resolution number 194, and reaffirmed by more than 110 times. It is a personal, natural and legitimate right, may not be under representation or retail or barter or discrimination, and is not canceled by any agreements contrary to the content of this right. 3) A right derived from the sanctity of private property and its survival under occupation or sovereignty. It is the right which was applied to European Jews who regained without a specific UN resolution that their property which was confiscated from them in World War II. 4) The cause of refugees is the core of the Palestinian cause and embodies the just solution based on the right to return for all, and the true and fair application of the principle of the right of the Palestinian people to self-determination. 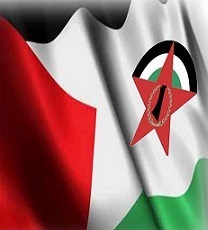 5) The unit of refugees, within the borders of Mandatory Palestine and in Diaspora, a guarantee of the unity of the Palestinian cause and the interdependence among the people and safeguard the character of deicing In the face of rehabilitation and resettlement projects or merger, or re-dispersion and displacement. 6) The refugees' right to compensation for damage to their moral and material losses due to catastrophe and throughout their exile, and the exploitation by Israel of their property and their wealth, or prevent them. A fixed and complementary right to the right of return does not constitute a substitute for it. 7) In addition to its role in aiding refugees UNRWA forms the title of the international community recognition of its responsibility toward refugees cause, and the need of a solution based on returning to their homes and property. The international community bears responsibility for the development and financing of the Agency to support its obligations and to meet in line with the natural increase in the ranks of the refugees and their needs. The agency bears the responsibility to complete its records to include all refugees, including living outside their areas of operation, particularly in Egypt and Iraq. To deploy commitment to Resolution 194 the agency is required to disengage from all projects and adjustments set outside the framework of international legitimacy resolutions, which ensured the right to return for refugees. Oslo Accords and the Treaty of Wadi Araba are among these projects and adjustments. 8) The reservation of the legal and political status in refugee camps is a requirement for preservation the cause of Palestinian refugees, which requires a halt to all this affects the status. (9 Emphasis on the Arab League resolutions and recommendations that recognize the refugees- in Arab host countries, and their human rights in full. Human rights are not a synonym for resettlement and does not imply abandoning the right to return and do not interfere with this right. 10) Israel is held responsible for political, legal and ethical toward Palestinian people as a result of the catastrophe of 1948 and the subsequent wars, and the resulting displacement of the scourge and the birth of the refugee issue. The international community and the United Nations body are also held responsible for the continuation of the tragedy of the Palestinian people and the suffering of the refugees. It must pressure Israel to implement the relevant resolutions of the Palestinian cause, including resolution 194.